The squat is a common assessment tool that many coaches will use even before designing a training program for you. It is also one of the most popular exercises in your programming, whether it is for strength, weight loss or rehab from injuries. Despite having done it since we are toddlers and its many benefits, a lot of us still have difficulty performing it correctly, without causing knee pain or lower back discomfort. We often see people avoiding this exercise, claiming that it “causes knee pain”, but many times this is actually due to performing the exercise incorrectly. Squats do not cause knee pain; squats performed incorrectly cause knee pain. The key to a pain-free and effective squat is to load the hips first and not the knees, but this is sometimes easier said than done! Which is why we have come up with these squat progressions to help you build up to a strong and correctly executed squat. What gets loaded first gets loaded maximally. *** Basic Squat Technique - Start with feet at shoulders-width apart, look ahead, maintain a neutral spine, and sit back into the squat. Keep you core braced and drive your knees out and maintain good toe, knee, and hip alignment. This allows you to sit back in the squat as it maintains your upper body and is a great way to build your squat depth and confidence. This is very similar to the TRX squat. But as the resistance band is stretchable, it is less stable and not as ‘fixed’ as the TRX, requiring you to control the movement and stability of your body slightly more than the TRX. We now need to maintain our torso position, but the box reduces our range of movement and helps us to shift our weight backwards. This is a great way to help build correct knee position and a safe squat depth. As your core gets stronger, you can switch to a lower box that allows you to squat deeper. We now introduce a counterbalance by pressing the ball in front as we shift the hips back. This a great way to maintain stability and an upright torso position as we squat through a greater range of motion. This exercise is many coaches’ staple, as the position of the dumbbell or Kettlebell helps maintain core stability and a better center of gravity, which actually makes it feel easier than a bodyweight squat! Once you are comfortable performing the goblet squat, you can increase the load or progress to a front rack Kettlebell squat, barbell front squat, or barbell back squat. Our advice would always be to find a qualified coach to assess your movement, mobility, and squat technique so that they can correctly advise on the progressions that you need. But in the meantime, you can give the above 5 squat variations a try! Leigh Withers is a Personal Training Manager at UFIT. 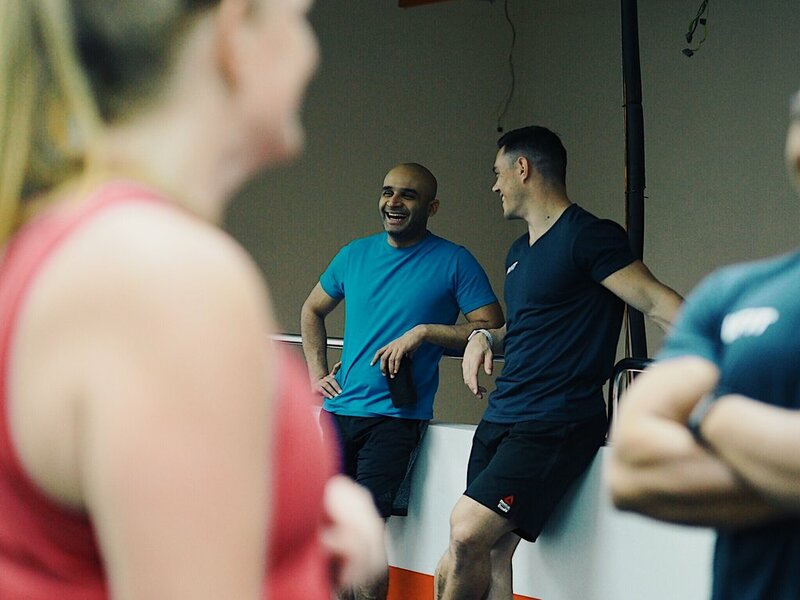 Since making a career change from financial accounting 11 years ago, Leigh has lived his passion for the fitness industry in the UK, Middle East, Asia and Europe. He’s worked with some of UK’s leading fitness educators, such as Discovery Learning, Fitness Wales, Train Fitness, along with Cardiff Met University. During his time in the Middle East, Leigh was part of a ground-breaking project to deliver industry-accredited training qualifications to leading gyms in the UAE. He played a key role with the Bahrain Military Defence Hospital to provide training and education to their physiotherapists who were leading the country's first Centre of Excellence Obesity Project. He also worked with Bapco and the country’s leading dietician to front Bahrain’s ‘Biggest Loser’ campaign, and presented to hundreds of employees. Leigh has spent time training with some of the leading figures in the industry, and has recently completed his Certified Physical Preparation Specialist Certification (CPPS) with Joe De Franco and Jim Smith at the Onnit Academy in Austin, Texas. 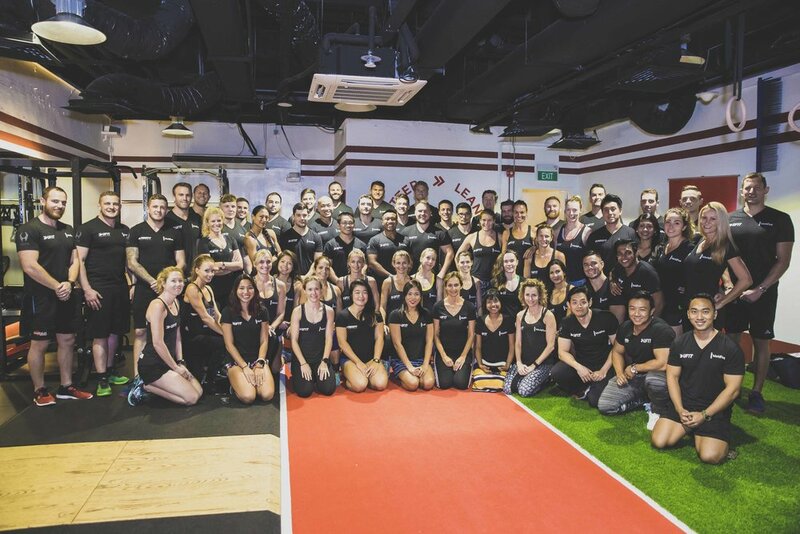 Our brand new Personal Training studio on the mezzanine level of our CrossFit Tanjong Pagar gym is open for business! This private oasis in the middle of the CBD allows clients to feel part of the welcoming, vibrant CrossFit community downstairs, yet provides a quieter, dedicated area to focus in and smash their goals with their Personal Trainer. "I’ve always been highly competitive at every sport I've been involved in. From the age of 10, I represented my province in South Africa in squash, athletics and rugby. I turned to competitive bodybuilding when I left school, competing at a provincial level for four years, and also got involved in Mixed Martial Arts. Soon after I discovered mountain biking and rode and raced for two solid years. It’s a tough sport that really challenges the mind, body and soul. I ended up racing bikes when I moved to Singapore six years ago and then took up the discipline of CrossFit. I’ve competed in CrossFit for three to four years, achieving some significant milestones including perfect scores at the Sin City Invitationals 2016, winning 2015’s “Fittest Male in Singapore” (by CrossFit HQ, USA), third place in the 2016 "Fittest in Singapore" and have been a Reebok ambassador since 2014. I now carry a Crossfit Weightlifting Certification and a CrossFit Level 2 certification.". Read more about Dyl here. Naz hails from Jakarta and later went to school in Singapore. "I was athletic and competitive ever since I was little. I grew up with an older brother so liked what he liked, and my dad was super competitive which rubbed off on me. PE was my favourite class at school, and I did track, swimming, footy, basketball and martial arts. At the same time I did musical theatre in Singapore and Jakarta, performing every year since I was 12, including as lead female in Footloose and in Grease as Rizzo. I also performed at The Esplanade with my band as a guitarist and back-up singer. I wanted to study performing arts but my dad sent me to business school in the UK - but then I decided to pursue my real passion which was fitness and weightlifting which led me into CrossFit". 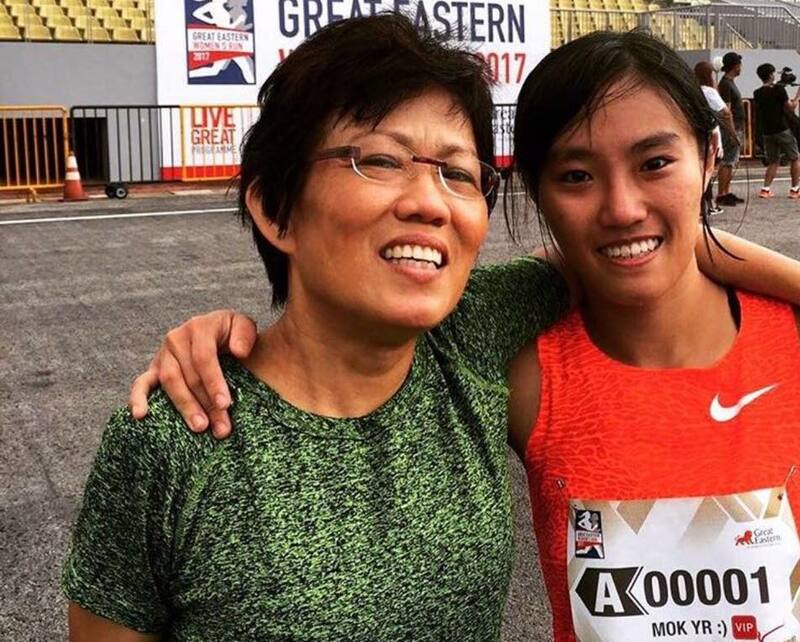 Naz went on to become a regular CrossFit competitor and won 2017 "Fittest Female in Singapore" at the CrossFit Opens. 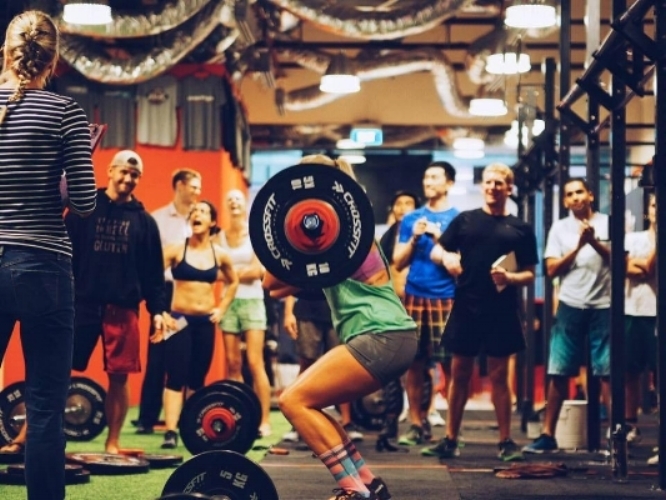 She remains an active CrossFitter and is also now pursuing her love of weightlifting. Read more about Naz here. "I started doing theatre for my A Levels in Singapore and taught myself to play guitar, drums, bass and percussion. My thesis was on percussion in Native American Theatre and after graduating, I got a role in a theatre company for a work doing contemporary dance. I started more dancing, and combined playing music in bands, physical theatre and dance. In 2013 I performed at the Prague Dance Festival in the Czech Republic. I had a lead role and won the Dance Theatre, Folk Dance and Participant's Choice categories. We came back in 2014 and I won first place in Dance Theatre and Participant's Choice. Around then I was exploring CrossFit and weightlifting. I was the head coach of another box in Singapore and competing quite around SE Asia. Dylan, Daryl and I were friends and rivals, often on the podium together, and when Dyl opened CFTP, it made sense for to come over. I was accepting less theatre and dance work in 2016, and whilst doing my last dance gig I met Adelene Stanley, my dance partner, and we started going out soon after the concert ended. We're getting married in December this year :) I've stopped CrossFit now and am pursing goals weightlifting. Along this journey, I hold all the weightlifting national records in the under-85kg and under-94kg categories. Read more about John here. Melanie moved to Singapore from KL on an ASEAN scholarship when she was 14 years old. She went on an exchange program in Oregon when she was 21 to do sports marketing and digital arts. She was training actively on the side and injured her lower back L4/L5, and met a physiotherapist who was a CrossFit trainer and began rehabbing using CrossFit methodology. 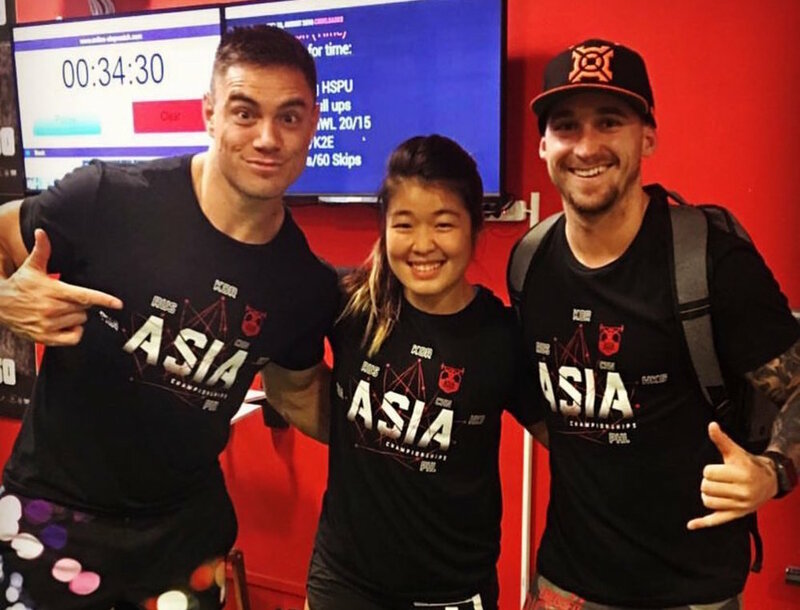 She moved back to Singapore at the age of 22, and interned at CrossFit Fire City for 8 months and now carries a CrossFit Weightlifting Certification and CrossFit Level 2 certification, accumulating over 200 hours of coaching in various landscapes in Asia. When she's not training clients, herself or doing competitions Mel is an extremely talented photographer and many clients will have seen her behind the lens shooting fabulous photos of all the action for UFIT and CrossFit Tanjong Pagar. Read more about Mel here. Bluey has had a lifelong passion for sport, having played and coached competitive Rugby League in Sydney from a young age. He has always participated in many team sports and active events as possible - from Australian Surf Life Saving to Adventure Racing, Downhill Mountain bike riding and most recently CrossFit. Taking his love for sport to forging a new career in the fitness industry was a natural progression for Adam. He completed his Australian Certificate III in Personal Training, and CrossFit Level 1 course to enable him to develop the same passion for fitness and training in others. Adam believes in a balanced approach to a healthy lifestyle, which includes functional training and smart nutrition to achieve goals. He prides himself on being committed to helping others in their fitness journey as he continues to grow his. Read more about Bluey here. Farreez started his career as a Personal Trainer in 2011. His passion previously as a sportsperson was as a rugby player since the age of 11 and till now, has always loved the sport. He was fortunate enough to represent Singapore in rugby at the ages of 12, 15 and 16. His specialities with clients would be able to make them feel comfortable when they are training, improve technique and understanding of their training so they know how to use the equipment properly. Read more about Farreez here. Come and train at our new studio at Tanjong Pagar and enjoy our special offer of 5 personal training sessions for $399, whether you are new to working out, have specific areas of the body you want to focus on, have personal goals or want to make a complete transformation. Our coaches work with clients from all walks of life and of all fitness levels, and there is nothing that satisfies them more than helping people reach their goals.